Can’t miss this wonderful opportunity! 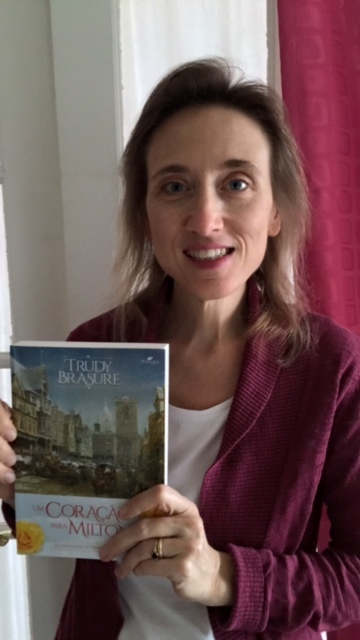 Thanks for the giveaway, Trudy and Rita, and for the wonderful interview! I have read both your books found them to be very good. Your covers are beautiful and eye-catching. Since I have the eBooks, I would love the paperback should I be lucky in the giveaway. I just rewatched the first two episodes again today. (Sick with the flu so a good time to watch John Thornton) The scene you mentioned is so touching and also breaks my heart for him. His feelings so strong but his fear of Margaret not having him, just as strong. Thank you for the informative interview and the giveaway opportunity. (I just recently found c19 and was happy to learn of it). Thanks, both my covers were done by a fellow C19 friend. I better ask her if she can do a third…. Surprisingly, there really aren’t that many N&S variations/sequels in the published realm. I’m glad you’re interested. 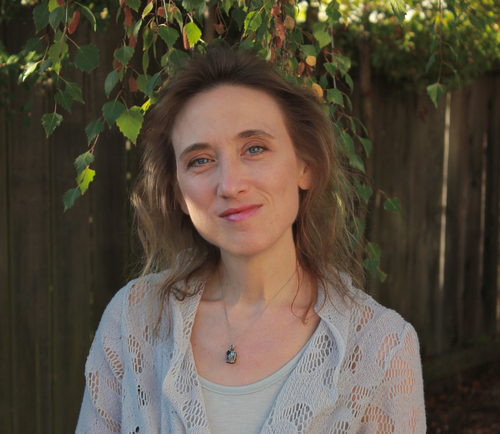 Hannah Thornton is an easy villain for authors looking to add conflict to their story. But I don’t think Hannah would have done anything to completely jeopardize her relationship with her son. In both the book and the mini-series we see signs of a thaw with Margaret before the end. I hope by announcing a work in progress, I will get busy writing again! I’ve been so insconced in Austenesque fiction, I had no idea that Haskell Fan Fiction titles existed. I am thrilled to say the least– Not just for the opportunity to win, but just to know about this. Thank you! Wonderful interview with Trudy! I love N&S. Thanks, dholcomb1. It’s hard not to love N&S! Very cool that her books are in Portuguese now. I hope you’ll indulge in a little N&S fan fiction now and then. Thanks for such a lovely interview ladies. I think Trudy is right about Richard Armitage defining John Thornton for a very long time, much as Colin Firth has for Darcy. One of my favourite scenes in the dramatisation is when Thornton is looking at the back of Margaret’s departing carriage and thinking/saying “Look back. Look back at me”. Heart rending. Do you have a favourite scene, Trudy? Last year, when Joana Starnes’ latest book was published, she and I became two of the founder members of the “Let’s Torture Darcy” club. At that time, I said that it was probably the only legal form of torture. Now, it looks as if you’ve though up another, Trudy: “Let’s Torture Thornton”! What do you think? Lovely interview and thank you for the giveaway opportunity! Although I can’t say the “look back” scene is a favorite — just too much desperate sorrow on both sides here! — I would rank those few moments as one of the highlights of Richard’s acting in this drama. It’s quite amazing if you think of it. The camera focuses on his countenance for several still moments and we see the depth of his agony expressed in his face. He didn’t even really need to mutter those words. I love the dinner party scene. Margaret looks resplendent and Thornton looks like he would like to feast his eyes on her all evening! Here we get see the sexual tension and the ideological battle — two powerful elements in Gaskell’s work. I do love a tortured Thornton! Gaskell is exceptional in showing us inside Thornton’s head. His anguish is very potent. I like to try my hand in putting Thornton through torment. But I also love describing his profound joy when he finally gets the girl. Wonderful interview. I am a huge fan of North and South and Richard Armitage. (I would love to see him as Darcy and he makes a perfect Thornton) . I am so excited to see some N&S variations! Thank you for the giveaway. Glad you’re now aware of N&S variations. Hope you enjoy a few of them! Lovely interview! I have both books, so don’t enter me in book give away, give to someone who has not enjoyed your lovely books. When do you expect for your lastest to go on sale. Can’t wait. As admin of the Elizabeth Gaskell Appreciation Page on Facebook, I’ve come to admire Trudy very much! She has the best ideas and analysis of Gaskell’s books and a tru understanding of the era! Also, A Heart For Milton is simply brilliant, and I can’t wait to read the new one! Thanks so much Viviane. I really do love Gaskell’s book and I enjoy sharing my insights and understanding with others. I love Wives & Daughters almost as much! Have you read it? I’ve read quite a few Austenesque variations, but I’m new to N&S ones. It’s always so nice to find new authors and new wonderful stories to read! There is whole world of fan fiction out there I didn’t know about… I am so going to get lost in it! Thank you much for sharing your words and your thoughts with us, Ms. Brasure! You’re very welcome, it’s always my pleasure to spread more of the N&S love wherever I can! Hope you’ll try reading one of my variations. I read “A Heart for Milton” this November, and I remember one particular evening where I was wrapped up in a blanket, drinking tea and reading, sighing.. and giggling. Your portrayal of Mr Thornton is just too wonderful not to giggle sometimes, Ms Brasure! I especially loved the moments where I could see Richard Armitage very clearly, in angst as well as in joy … It was really a wonderful story, thank you so much for it! Thanks so much for sharing your reaction to A Heart for Milton. It’s a lovely treat for authors to hear how much their stories are enjoyed. Have you read In Consequence yet? Wonderful interview! I loved the N&S miniseries (Armitage’s Thorton was perfection! ), but I must admit that I’ve never tried a N&S variation. 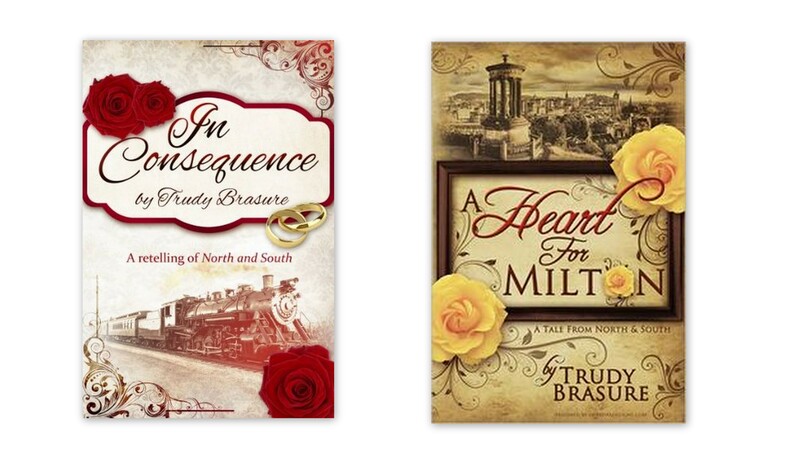 I’d love to be fortunate enough to win a copy of one of your books, Trudy! Thank you for reading the interview and for your interest in my books! N&S should have more variations. The love story and the surrounding industrial setting has so much for a writer to explore. Great interview-well done to all concerned. Must admit to loving N&S-both the book and the dvd. Richard Armitage,for me,is Mr Thotnton and I think he and Daniella Denby-Ashe did a remarkable job …..the chemistry between them,the glances and misunderstandings were so breathtaking to watch. Have read and thoroughly enjoyed A heart for Milton but would love z Chavez to win your second book!! Many thanks for this opportunity. I love the book and the mini-series. The passion and tension in Gaskell’s story is incredible. Glad you loved A Heart for Milton. Hope you will get the chance to read my second story. That would be great! Thanks for supporting my writing. I enjoyed so much reading you “Heart for Milton”! And I love your use of the language. Some fanfiction makes me cringe, because the language used is that of a modern USA. But you immersed yourself in Gaskell’s own style. I long wanted to buy your “In consequence” for my tolino e-reader, but unfortunately it needs the epub format which is not yet available. Yes, I still mean to make In Consequence available more widely. So many things to do when you self-publish…. Hi! This is Apala. First of all, I am so happy that I am connected to you both – Rita and Trudy. I had no idea that there were people just like me – who love period dramas and spend inordinate amounts of time reading, watching, and researching anything that has to do with the Victorian and Regency eras. It makes me feel that the 2 years of research that I’ve done on Ireland in the 19th Century, for a book that I’ve been writing in my head, might just find some readers one day. Till then I hope to enjoy the brilliant fiction by wonderful authors such as you Trudy. I love your insight about Mrs. Thornton – she’s definitely one of the most interesting characters in the book, along with Higgins. What doesn’t get talked about is the fact that Gaskell seems to have brought Jane Austen and Charles Dicken’s worlds together – on the one hand you have a thoughtful portrayal of the working class, on the other you have a timeless love story that rivals that of Elizabeth and Darcy’s. The only thing that’s missing is a touch of gothic (I love me some Bronte!) and it’d be the perfect recipe for a period drama. Historical fiction is a favorite genre for many. I hope you continue to pursue your interest in writing a story that takes place in 19th century Ireland. I’m very, very happy that The X-Files brought us together Apala! Mulder and Scully made us realize we also loved Thornton and Margaret 🙂 You are definitely not alone!!! And I can guarantee that you’ll have me as a reader if you do decide to put your book into paper 🙂 I honestly can not wait for you to start reading fac fiction so that we can discuss the books together 🙂 best of luck with your period dramas blog!!! Thank you for sharing your talent in your books! Keep on writing! Oh I’m sorry I only read this after the oportunity to enter the giveway has passed me by – I hadn’t realized it was international so I didn’t read it straight away – but I loved it immensely, and the comments as well, regardless, as I haven’t yet read either of your books. I feel the same way about Mrs. Thorton. It takes some time to warm up to her but she’s such an admirable woman, and it makes me sad how unfairly treated her character is by so many amateur writers. It is usually what makes me abandon fanfiction works on N&S. Thanks for adding your thoughts. I really do believe Hannah Thornton has a heart, it just needs some patient revealing. I don’t know if you would find my Portuguese book at bookstores. Pedrazul Editora is the publishing house selling my work. I love both of my covers for A Heart for Milton! (English and Portuguese) I love all things historical and romantic. Pedrazul is from Brazil and I am from Portugal, so I’d understood this sentence “The book is currently available for sale in Brazil, but I’m confidente it will reach portuguese bookshops very shortly” as meaning that the book would become available in Portugal as well. I just fell into the world of N&S fan fiction. Haven’t read this version yet!